The 2017 Kawasaki Z650 made its debut at EICMA 2016 in Milan, Italy last November. The naked bike comes as a member of ‘Z’ family and it is influenced by Sugomi design language. The bike takes direct inspiration from its bigger sibling Kawasaki Z900 and replaces ER-6n in the Japanese bike-maker’s global lineup. The aggressive looking Kawasaki Z650 has been launched in India today at Rs. 5.19 lakh (ex-showroom, New Delhi). 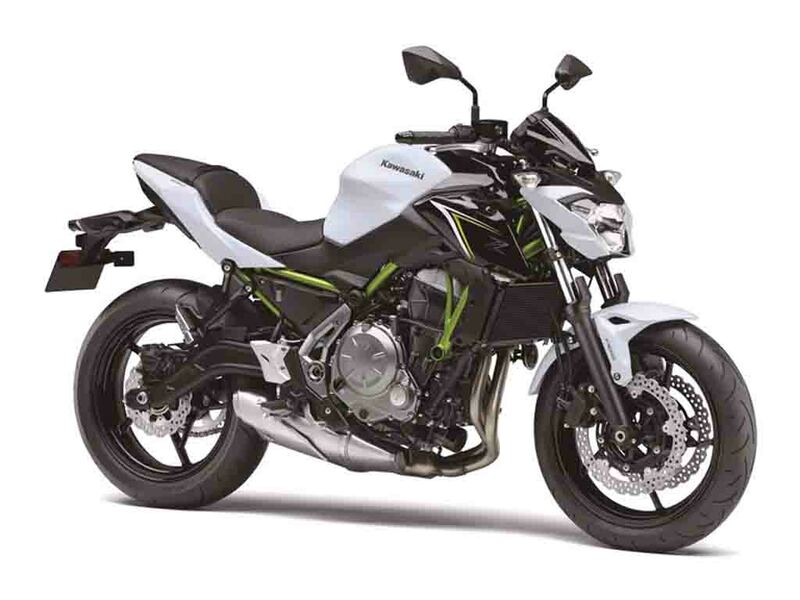 Compared to Kawasaki ER-6n, the all-new Z650 looks much more aggressive and sharper. It is built on a new steel trellis frame, which is a little bit different compared to the ER-6n, while kerb weight is similar at 187 kg. Dimensionally the Z650 measures 2,055mm in length, 775mm in width, 1,080mm in height and it has a wheelbase of 1,410mm. 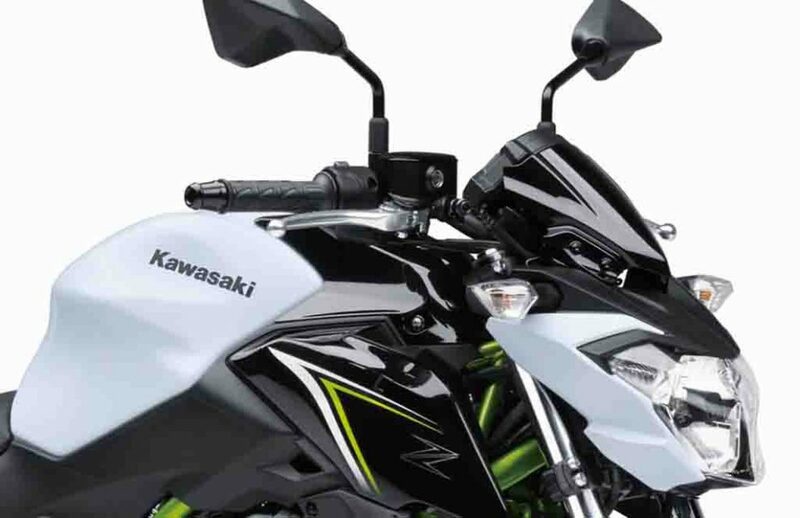 The bike appears with an aggressive looking sharp and wide headlamp, very muscular 15-litre capacity fuel tank with sculpted look. The lowered seat height at 790mm offers the rider a comfortable riding position and also better control over the bike. 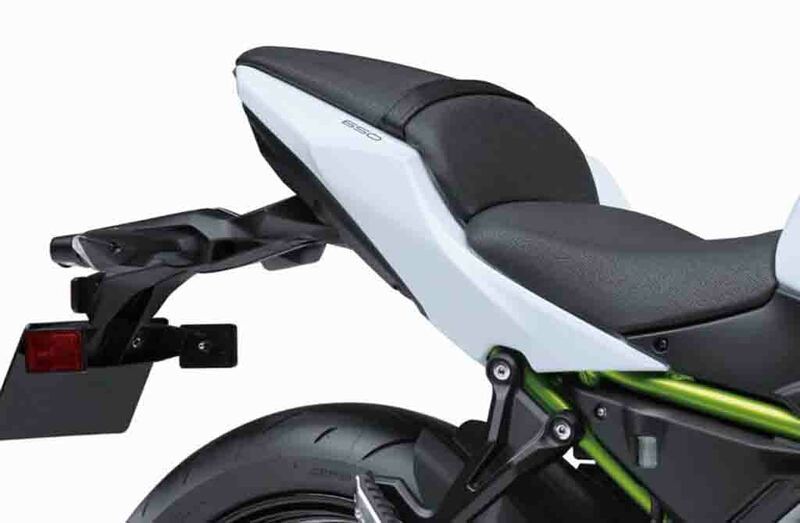 Apart from that, the stepped up saddle seat, sharp tail section make the bike sporty looking. 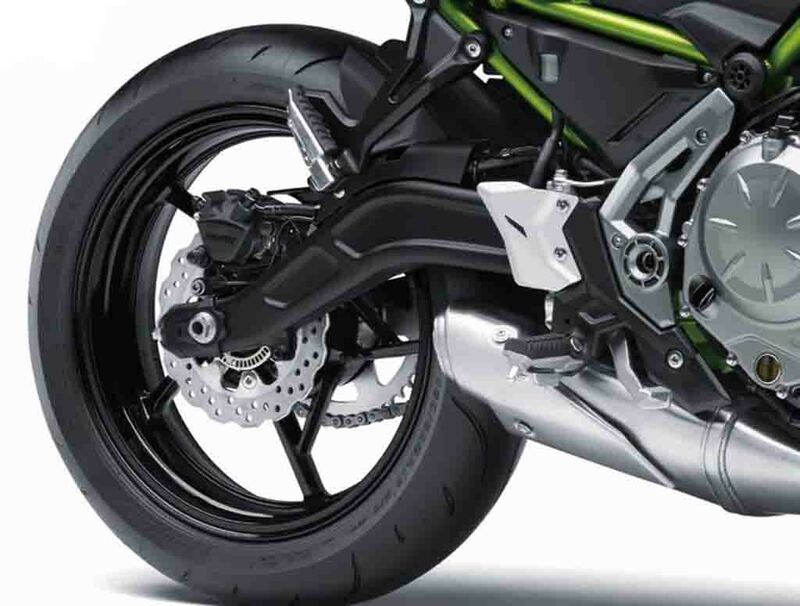 The 2017 Kawasaki Z650 will be available in four different colour options, which are – Candy Lime Green with Metallic Spark Black, Pearl Flat Stardust White with Metallic Spark Black, Metallic Raw Titanium with Metallic Spark Black, and Metallic Flat Spark Black with Metallic Spark Black. Power source for the bike is a 649cc parallel-twin, liquid-cooled engine which generates power for the ER-6n as well. 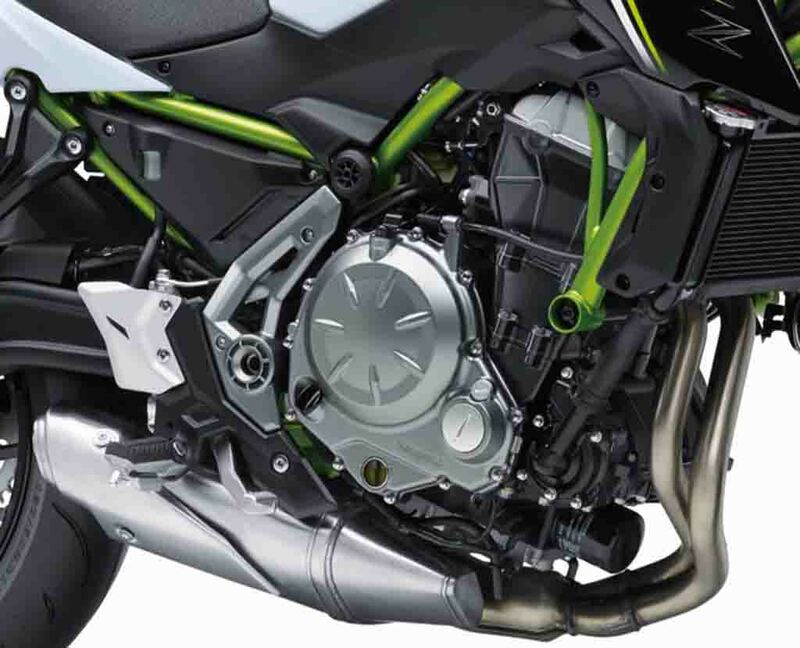 The engine has been updated to deliver smoother throttle response and it is capable to churn out 68 PS of peak power at 8.000 rpm and 65.7 Nm of peak torque at 6,500 rpm. Paired with a 6-speed transmission, the engine returns an improved fuel economy of 28 kmpl. 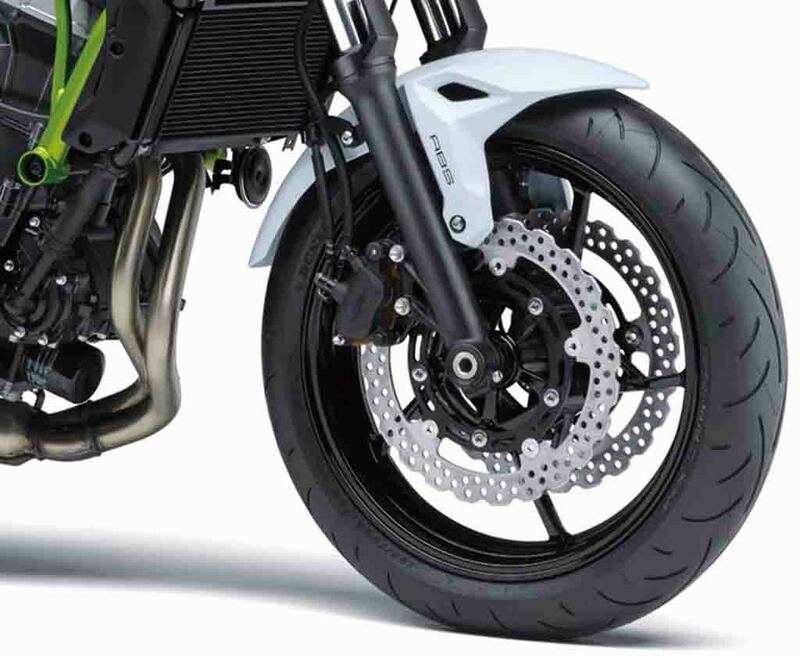 Both the wheels sport disc brakes combined with Bosch 9.1M ABS for braking duty.